Like love, LOVE LOVE tacos. I love taco Tuesday. I love taco Wednesday. I love taco Friday. I could eat tacos everyday. 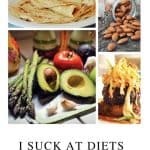 But– I LOVE tortillas! I know, shock face– low carb and tortillas doesn’t mix. Sob. 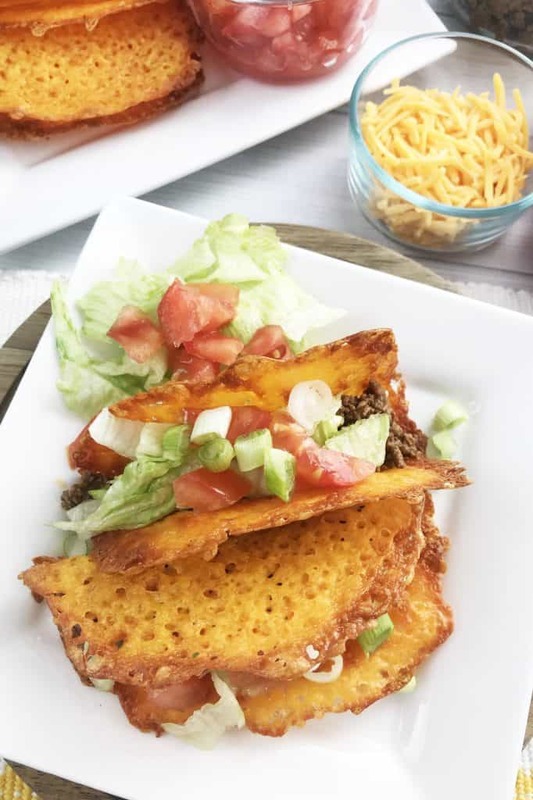 Seriously, though– have you tried Taco shells made from cheese? If you are a Taco lover like me then– hallelujah- give me all the tacos!! 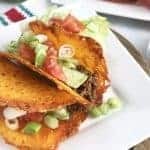 They are a perfect Keto Cinco De Mayo recipe. 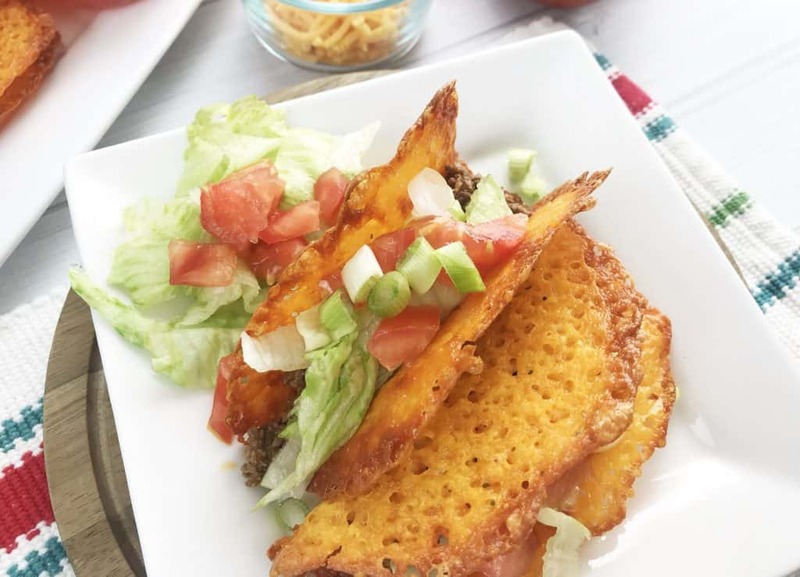 If you are on the Keto Diet or a Low Carb diet, you’ll LOVE these Keto Tacos with Cheese Shells. 1. Brown the ground beef with diced onion and minced garlic and drain the grease. 2. Add in the chili powder, ground cumin, pepper flakes and water. Allow the meat to simmer in the seasonings for 15-20 minutes, if the mixture is thick add a little bit more water. 3. 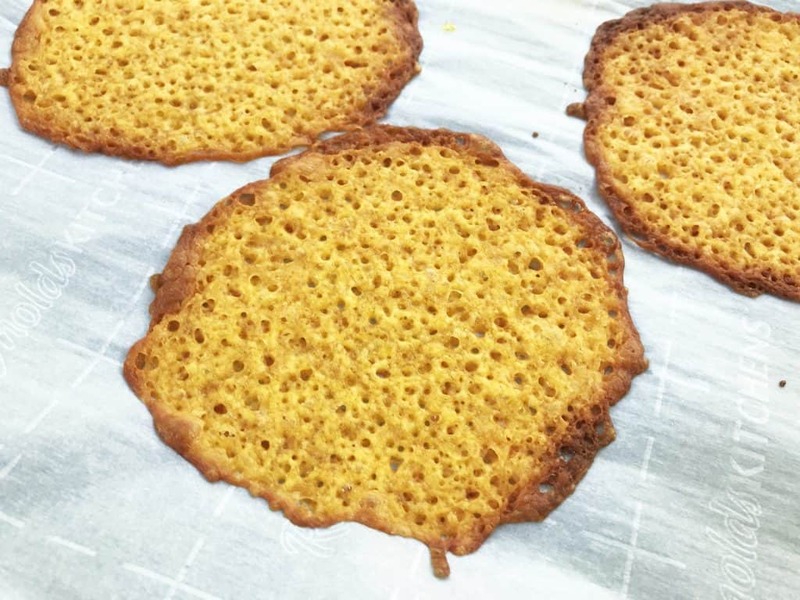 Preheat the oven to 400 degrees and line a large baking sheet with parchment paper. 4. Place a 1/2 C. shredded cheddar cheese 2-3″ a part on the baking sheet and gently spread out in a circular shape. 6. While the shells are baking grab a few tall kitchen items – large coffee can, salt container, etc. Place a wooden skewers across them. I ended up using a few large spatula handles as we were out of the skewers. 7. 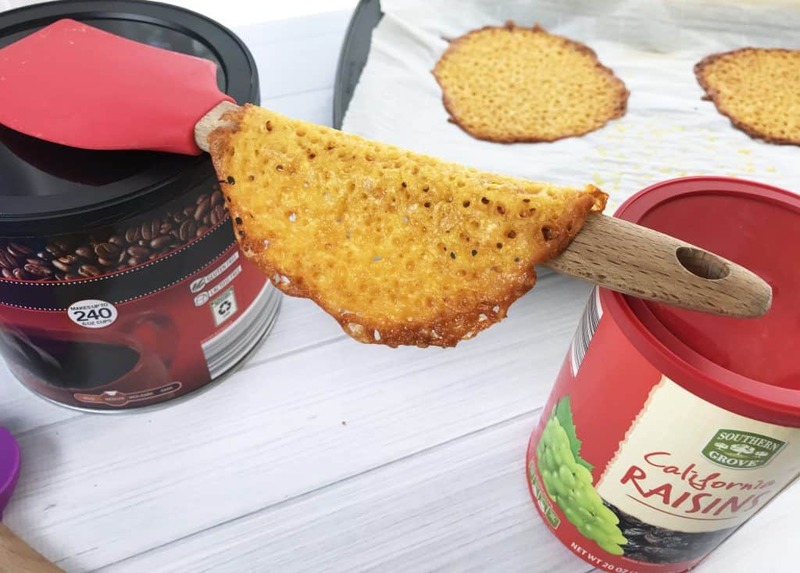 Remove the cheese from the oven and use a spatula to gently hang the cheese shells to let them set. 8. 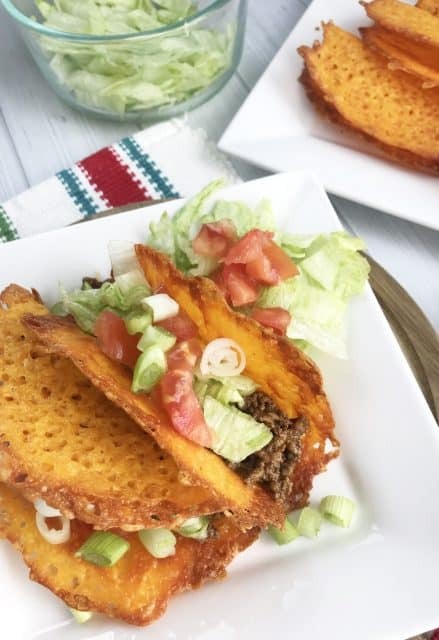 Fill the cheese shells with with taco meat and then top with your favorite taco toppings! 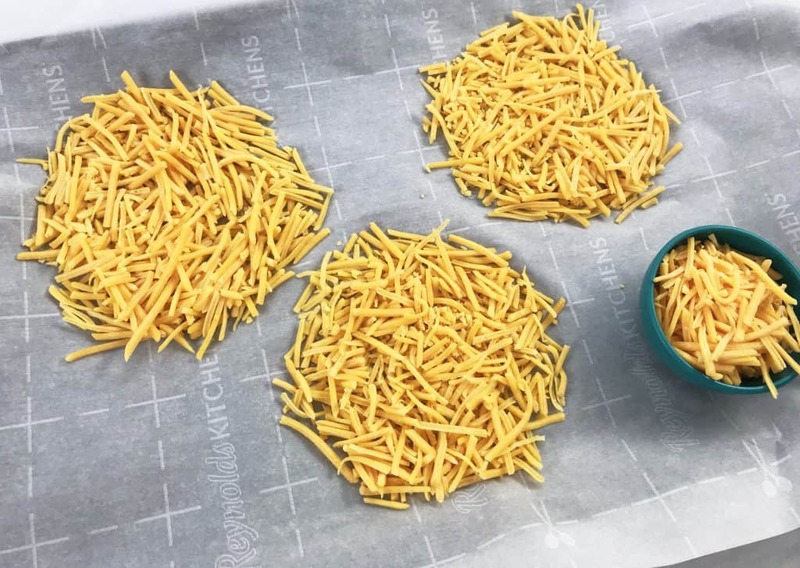 Place a 1/2 C. shredded cheddar cheese 2-3" a part on the baking sheet and gently spread out in a circular shape. While the shells are baking grab a few tall kitchen items - large coffee can, salt container, etc. Place a wooden skewers across them. I ended up using a few large spatula handles as we were out of the skewers. 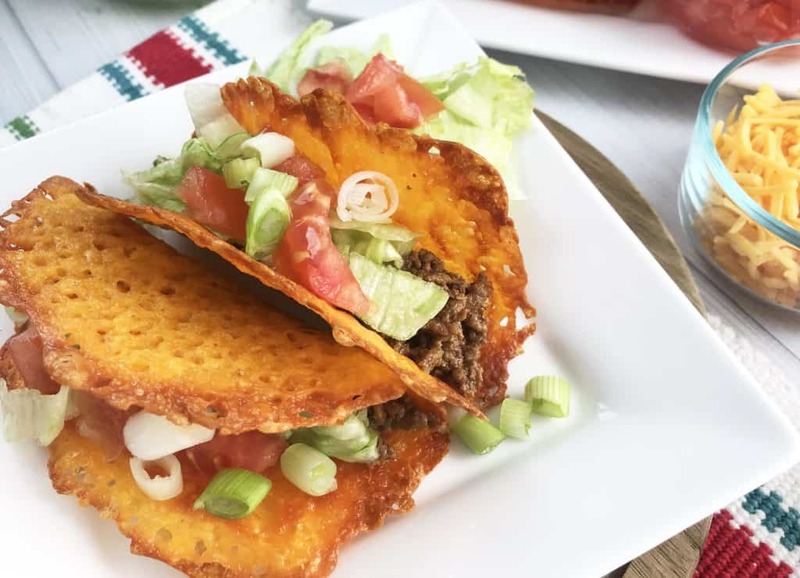 Fill the cheese shells with with taco meat and then top with your favorite taco toppings! Previous Post: L.O.L. 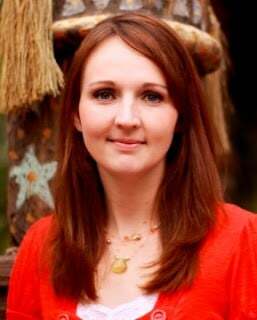 SURPRISE BIG SURPRISE GIVEAWAY!